With nine of its 10 fights going to decision, and a slew of questionable commission gaffes marring the event, UFC 208 will not go down in the annals as an instant classic UFC pay-per-views. 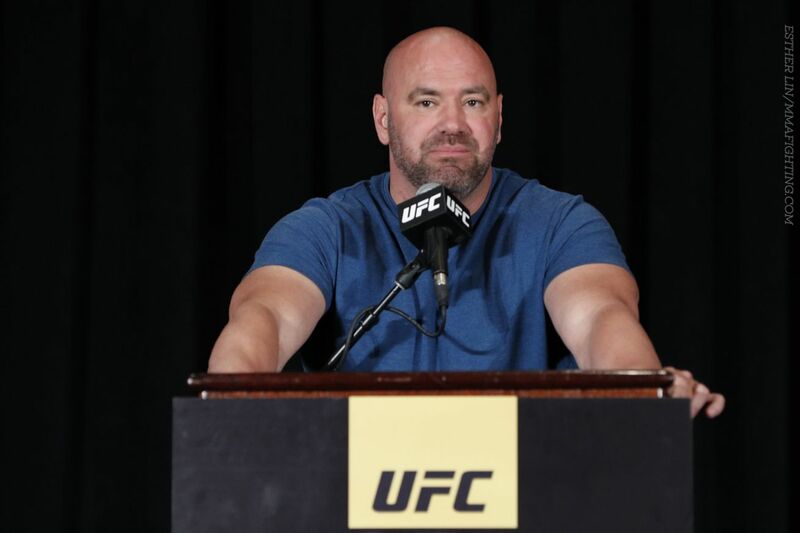 And no one was more disappointed with the action that unfolded on Saturday night in Brooklyn than UFC president Dana White. “Not one of our better events,” White said on FOX Sports 1’s post-fight show. “I always feel like that if we come into a place, you’re going to have at least a few good fights that are going to get you up out of your seat. We didn’t have any of those. The Poirier-Miller fight was one of the lone bright spots on a pay-per-view that otherwise was short on big moments. But while the fights were what they were at UFC 208, many of the decisions made by officials appointed by the New York State Athletic Commission (NYSAC) ended up being the bigger story. Several puzzling scorecards were handed in from judges assigned by the state — a point of contention which was most noticeable in the night’s co-main event, which saw former UFC middleweight champion Anderson Silva capture a controversial unanimous decision victory over Derek Brunson. Then, in the main event, referee Todd Anderson declined to take a point away from Germaine de Randamie despite the fact that de Randamie twice cracked Holly Holm with hard strikes in the seconds after the bell signaled the end of a round. De Randamie wound up winning a judges’ decision by unanimous 48-47 scores to capture the inaugural UFC women’s featherweight title, however the contest would’ve ended in a draw had Anderson taken a point away from de Randamie. “I feel like the ref from New York shouldn’t be reffing a main event fight,” White said on the UFC’s post-fight show. “They don’t have enough experience. He should not have been in there. But again, we don’t make those decisions. The commission does. That was a bad decision by them, and if that guy takes a point for hitting after the bell, it’s a draw. The only possible way this night could be any sh*ttier. White’s lack of excitement about the night was reflected in the UFC’s post-fight bonuses. Rather than awarding four bonuses to fighters on the card, the UFC only handed out three at UFC 208, an obvious indictment of the action that took place at the Barclays Center on Saturday night. And though the scoring in the main event bout between de Randamie and Holm generated plenty of discussion of its own, White could only offer a resounding “no” when asked whether he was left satisfied by the result.